Drawer Slides1 Pair Three Sections Ball Bearing Full Extension Glides Runners. 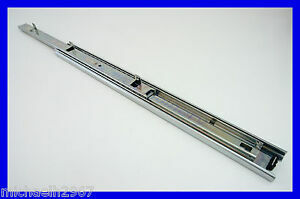 Details about Drawer runners- Ball bearing- full extension 45kg. kitchen, laundry, bathroom. There are 1,991 items available. Please enter a number less than or equal to 1,991.